Following the success of last years Clarins FEED 10 project (a collaboration between Clarins and FEED), Clarins FEED 10 is back with a ground breaking beauty gifting programme. Yes Clarins FEED 10 is a gift with purchase incentive but one that does good globally, not only will you recieve a beautiful pouch with five try me sized products but it will help to feed nutritious meals to 10 school children through the UN World Food Programme, to children within developing countries. A great concept wouldn't you agree. I was gifted a kit for feature but I will be popping along to my local Clarins stockist and purchasing my beloved facial oils and SPF to ensure that I support the cause. That's a really great concept! I love Clarins and will always support a good social cause (: It is always great when brands do their CSR work properly! I need to try out more products from Clarins :) I love their branding and the products seem to be really simply and good quality. I like their double serum which makes a huge difference to my skin! 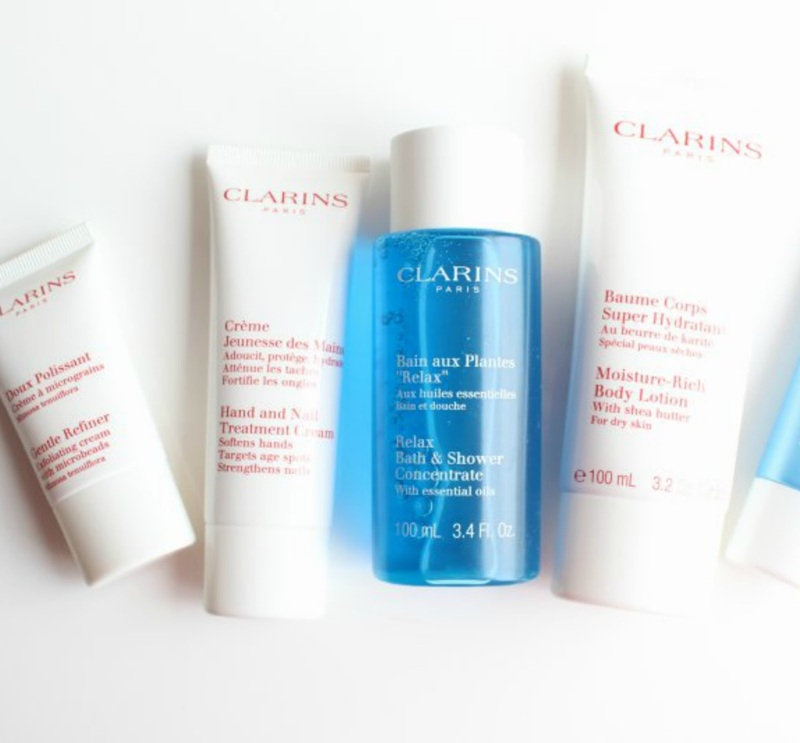 I really like Clarins skincare products, it's great that they are supporting such a good cause as well! Such a lovely pouch with a variety of stuff! I love their cleanser! I love this concept and I think it's amazing that such a big brand are doing their bit to help out a real problem worldwide. Also the selection that they give is awesome, you get a real feel for the stuff ^_^ thankyou for this post, I'll defo be joining in on payday!